Senator Magnus Abe representing Rivers South-East senatorial district in the National Assembly has outlined how the Minister of Transport, Rotimi Amaechi caused the current crisis rocking the All Progressives Congress, APC, in Rivers State. Abe also vowed that he will not leave the APC for another political party. 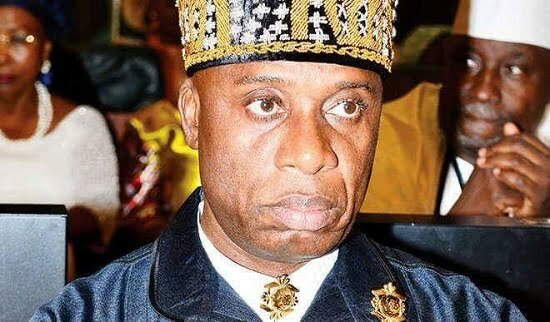 The Senator traced the crisis to the March 4, 2017 meeting convened by the Minister of Transportation, Mr. Chibuike Amaechi, in Port Harcourt. The Senator spoke through his Spokesperson, Parry Saroh Benson in a statement in Port Harcourt on Wednesday. He said, “I will not leave the APC even in the face of needless provocation and unwarranted bitterness. “As I told the state Chairman of the party, last Sunday, every member of the party knows the cause and the reason for the present crisis in the APC in Rivers State and I will also state it here. “The Minister of Transportation made several shocking pronouncements that heralded the root of our present crisis. He publicly declared that Senator Magnus Abe and Dr. Dakuku Peterside were both running for governor, and that he had ordered both of them to stop. “He said Dr. Peterside had stopped and Senator Abe had not, and that anyone supporting Senator Abe should leave the party immediately. “He went on to name party leaders sympathetic to Abe and declared that they must leave the party.